A few weeks ago, FUCHSIA shared with you how the Bint-e-Fatima Old People’s Home was started. We introduced you to the faces and stories of some of its residents. Both those features made you ask difficult questions like whether it is okay to leave a loved one to someone else’s care. Today, I offer to you yet another perspective – that of a struggling family member, a struggling caregiver. 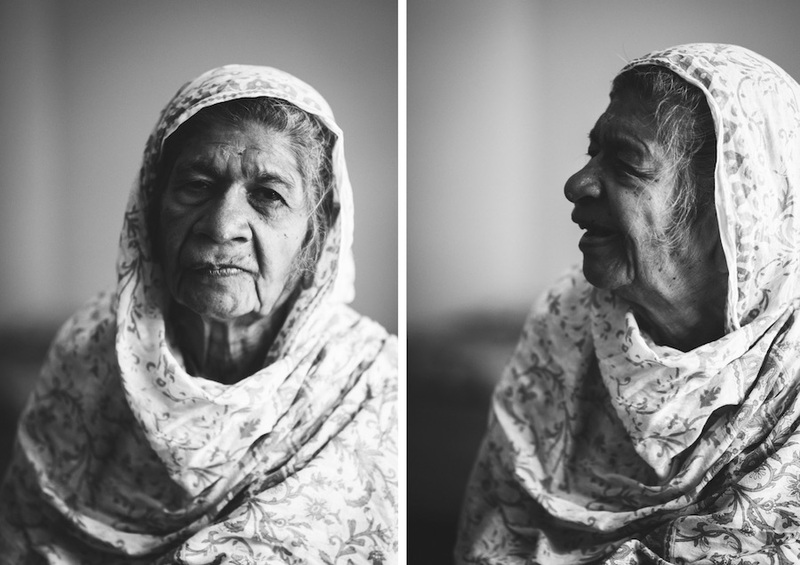 A few weeks ago, FUCHSIA shared with you how Bint-e-Fatima Old People’s Home was started up, and introduced you to the faces and stories of some of its residents. Both those features made you ask difficult questions like whether it is ok to leave a loved one to someone else’s care like that. 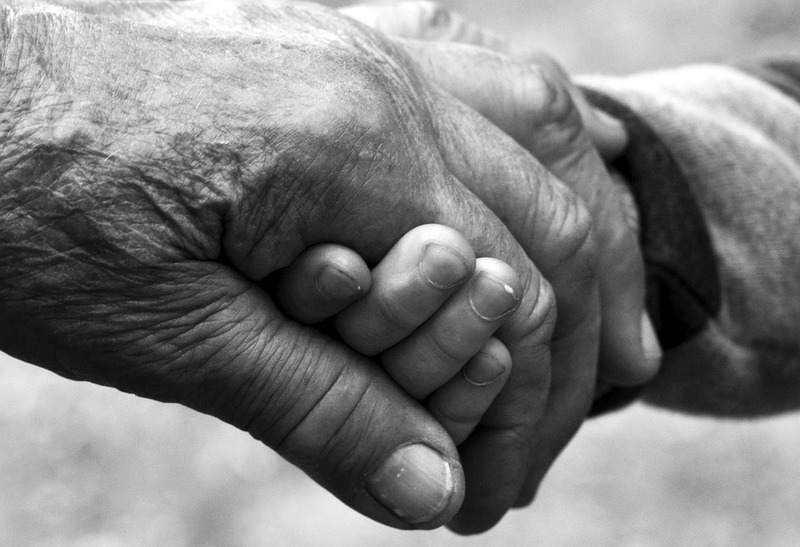 Today, I offer to you yet another perspective – that of a struggling family member, a struggling caregiver. Was it a difficult decision to admit your grandmother into an Old People’s Home? It was a very tough decision. It was her daughter’s decision. My father, her only son, was not keeping well, and he was unable to care for her alone, she was too old and needed proper care. He passed away soon after Dadi was placed in the Home. Both my phuphos live abroad. They have no bedrooms downstairs. So they had to go to the next door neighbour to give their mother a bath. My grandmother has arthritis so she couldn’t climb the stairs. My phupho kept her mother for about 6 months but couldn’t keep her longer, since her retired husband does not have a regular income, and my grandmother could not afford medical insurance. She wishes there was some other option. She has taken it very hard. Her mother had been around for her when her kids were growing up. Not a day goes by when she doesn’t think of this. How has she changed since she was admitted? It started off well. Her health picked up. She was getting the immediate medical attention that she needed. But now, I don’t know if it’s the over-crowding of the Home, or if she’s just much older, 90+ now. It’s been over 5 years she’s been at the Home. She’s become very forgetful. We keep repeating the same conversation when I go see her; whether I’m married or not. I show her pictures of her grandchildren. But then she forgets. So I repeat everything. Everyone amongst her peers always looked up to her in the family. So they were very shocked and saddened that she is living in a Home now. One never expected that her life would come to this. It’s very tragic. What do you see as negative outcomes of admitting her into the Home? She’s missing out on family. She was always well-groomed. And she loved to socialize. It was very difficult for her to let go of that. Now, with time, she has slowly accepted it. Emotionally, it’s very depressing for us too. I don’t want to talk about it and tell people, that I come from a well-to-do family but my grandmother is in an old people’s Home. We’re partying away, we’re going on holidays, we’re doing everything … and my grandmother is living in a Home. There is a feeling of guilt inside. And if I feel like this, I can only imagine what her own daughter must be feeling. How has your relationship with her changed since you admitted her into the Home? At home, I could come downstairs, talk to her, and go back upstairs. We felt responsible for her. That is not there now. I live in constant guilt. What if something happens to her? I have to go see her regularly. God forbid, what if something happens to her? Is there a stigma surrounding people who choose to admit their elders into an Old People’s Home? Yes, there’s definitely a stigma in our society. If I try and explain the situation to outsiders, they will not understand. Long lost, extended family have criticized this decision. If I were to hear this about another family, I would probably judge them too, or ask why their grandmother is in a Home. I find myself defending the situation; that I do not have a father, that my aunts are old, retired and aging. People don’t understand that purchasing medical insurance abroad is not a joke. It’s very, very expensive. 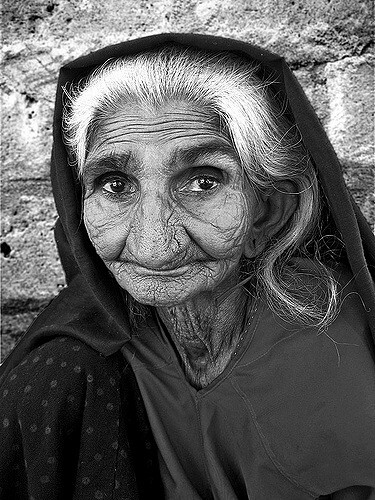 How do you think we can improve the concept of an Old People’s Home in Pakistan? Right now this Home is fulfilling very basic requirements. It’s clean and spacious – it is a place of last resort. A livelier atmosphere would help. Music, maybe pets. A pleasant garden, where the residents can go and sit in the outdoors. My grandmother enjoyed gardening. She’d know the names of all the flowers. Greenery, flowers, the sound of water, something soothing. All this would help. In Pakistan, do such Homes have a future? So many people have called up to ask about the details of this Home. I remember when it started to get over-crowded here and I asked the owner about how she manages, she said she can’t turn her back on anyone. There are some women here who are victims of domestic violence. How can she send them back? So there’s definitely a need. And the more Homes we have, the more people will start accepting this, and it won’t be a taboo topic any more. Is this a desirable norm? Well, that’s a tough one. I think for people who don’t have a choice, the option should always be there. And then maybe we will come to that stage where people willingly want to be admitted into the Home. Or choose one themselves as it is in the West. But that is a long way away. Even if you have a child living with you, maybe the child is working and doesn’t see you too much. Isn’t it better that you are in a Home and looked after where there are other human beings around? Does the stigma attached come in the way of making what could be the better decision? Hmmm … if you have to do it, you do it. I’m sure my phupho had to do it. There was no other option. You just turn a blind eye, you don’t care what the world has to say. Would you recommend it for other aging parents? If there’s really no other option. I would die of guilt if I had to send my mother there. Seeing someone in my family go through this, I don’t think I could justify it, no matter what the circumstances. The whole idea of placing her in an old people’s Home is unacceptable. I find the topic as much of a taboo as other people do. I would judge myself too. There is no way I would say I can’t keep my parent. But I am in no position to judge anyone. Everyone has their own limitations. Maybe if I had not been through this experience, I would have been quick to judge. But I don’t think I could live with myself if I put my mother in a Home. And I don’t think my phupho can either. We don’t talk about it. But I know she can’t. She wasn’t at all happy initially, but then she just came to terms with it. There was no option. This was it. If you ask her today, that if her son was alive, would she want to move back, she would say yes immediately. It’s very difficult saying goodbye. She asks when I will come again, and I say, next week. But sometimes I’m not able to go the next week. I feel very guilty. It really takes a toll on you. Atleast someone has taken a first step by building this Home. And they have set it up in a so-called affluent area of Karachi. In Defence. And it is full of residents. And so we come to the end of our conversation. Life is hard enough sometimes, but when we have to make choices about our loved ones, choices that we couldn’t imagine we’d have to make even in our worst nightmare, we need to think long and hard. Is it such that we should simply adapt to changing norms, and not hold on to values that are slowly being called ‘traditional’? Is it true that there is no choice, or is there always a choice? Our interviewee wanted us to mention that the owner of the Home has a granddaughter, who is very loving. Branch Bank : 26th Street DHA karachi. Shazia likes to pen her thoughts when she feels passionately about a life experience, a person or an event. She is mother to 3 lively boys and along with her husband, attempts to settle in her new country by taking German lessons so she is able to soak in the culture, language and spirit of the region. "Wake up in the morning, take a deep breath and exhale! Keep on living with a passion that inspires others! "